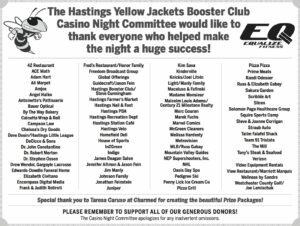 The Hastings Yellow Jackets Boosters are dedicated to support and promote ALL Hastings athletes by uniting students, parents, coaches, faculty, alumni and community members in a way that enhances school spirit and provides support to continue a rich tradition of quality student athletics. 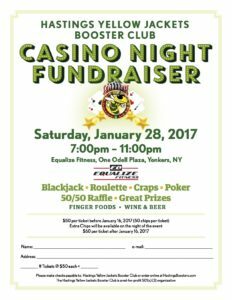 With increasing participation, the Boosters are poised to further develop their recognition and support of ALL athletes. The strength of this organization will come from the diversity and depth within it’s membership. 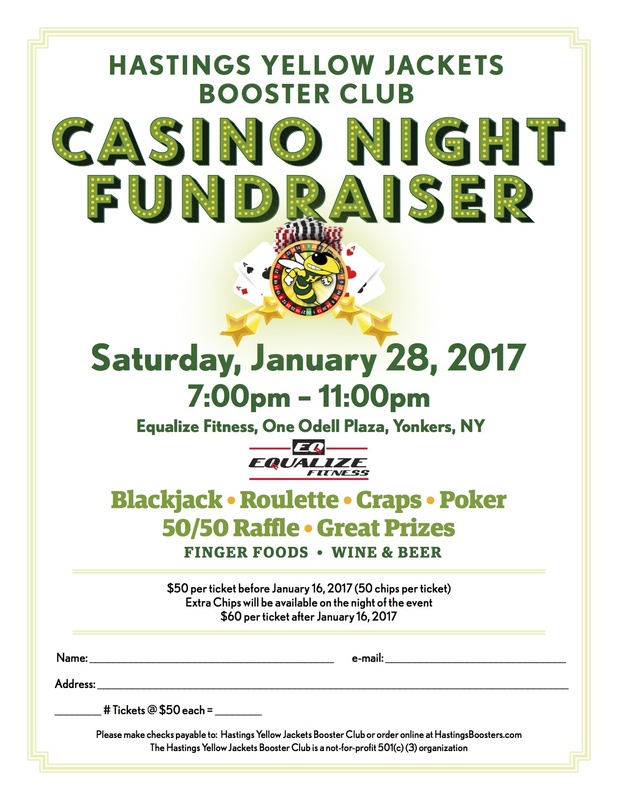 Save the Date for our biggest fundraiser of the year! Come out for a fun night with friends while supporting all of our Student Athletes! 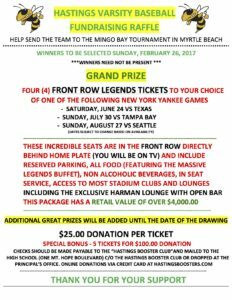 Attn: Nancy Gagliardi, Hastings High School, One Mount Hope Blvd, Hastings-on-Hudson, NY 10706. Congratulations to the 2016 Boys Varsity Soccer Team! 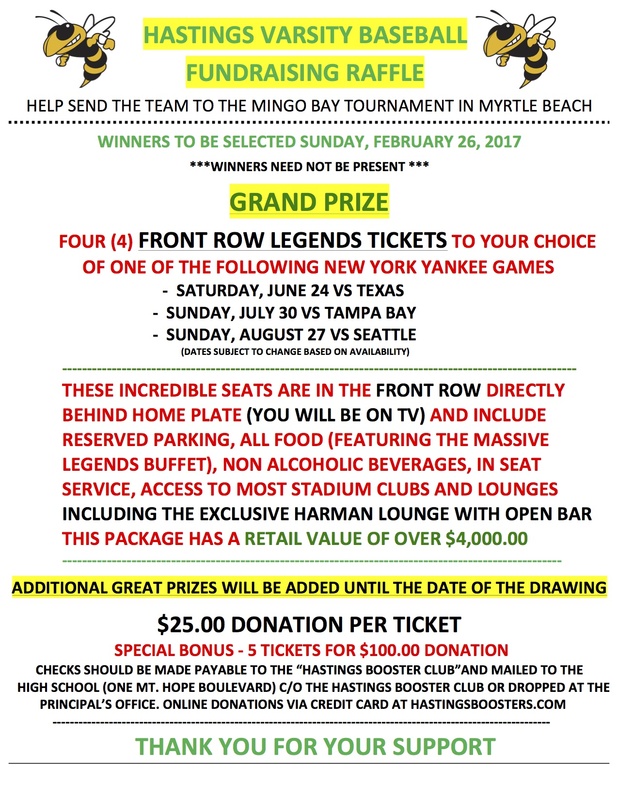 Help send the Varsity Baseball Team to the Mingo Bay Tournament in Myrtle Beach. Winter 2016 practice/game schedule here…. 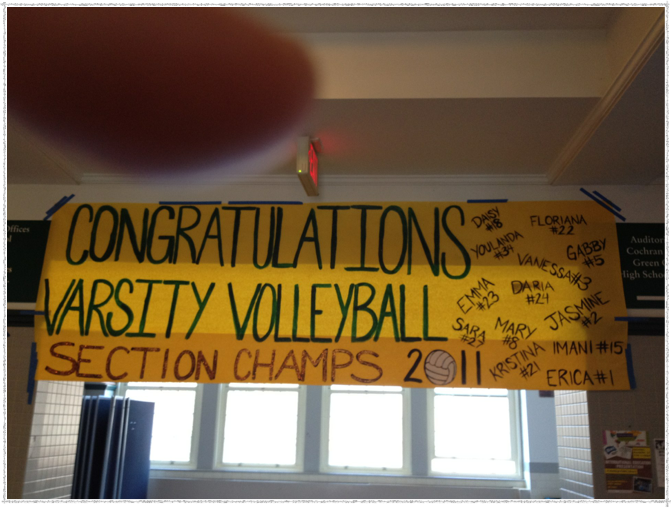 Watch this page, or our Facebook page, for Booster Club activities. Interested in joining us? Send us an email, we’d love your help! Thanks to everyone for coming out…. A great time was had by all! And thank you to all of the people & businesses that contributed to make this our successful event yet! Click on the image to see a listing of those that contributed. Interested in supporting our community and the athletes that represent it? 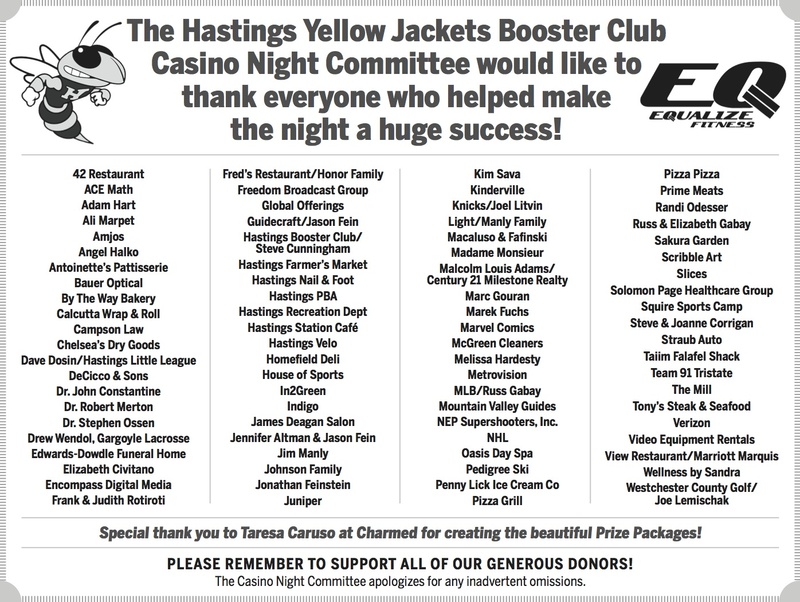 Come to the next meeting of the Hastings Yellow Jackets Booster Club. Meetings are held in the Russell Lecture Room in the HS/MS complex starting at 7:00 pm. Next Meeting will be announced shortly. Please check the web-site periodically for updates. Thank you! If you have any questions regarding any of our athletic programs, please contact the Athletic Office at 478-6241 or e-mail Adam Lodewick at lodewicka@hohschools.org. Varsity Soccer Photos by Fred Charles.